Karter Stone is a real estate investment specialist advising in the disposition and acquisition of industrial properties nationwide, with a focus on heavy manufacturing, light assembly, and flex/bulk warehouses. Karter and his team have represented an extensive range of clientele including institutional and private investors as well as franchisees and developers. 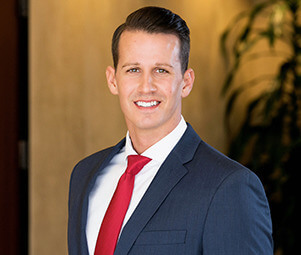 Karter’s in-depth knowledge of the market combined with his expertise in underwriting and marketing have provided value to his clients and helped close a variety of transactions. Prior to Matthews™, Karter was a business manager at Western Land Company where he oversaw strategies for capital investments and development opportunities, negotiated and managed multi-million dollar land acquisitions, and grew annual sales exceeding $5M a year. Karter also has experience managing corporate strategies and operational systems for Target where he served as an Operations Executive and as a Business Development Manager at Ultra Mobile where he was responsible for growing market share, with a heavy emphasis on gross-add and key metric attainment, forecasting, planning and marketing to ensure maximum brand awareness and company success.